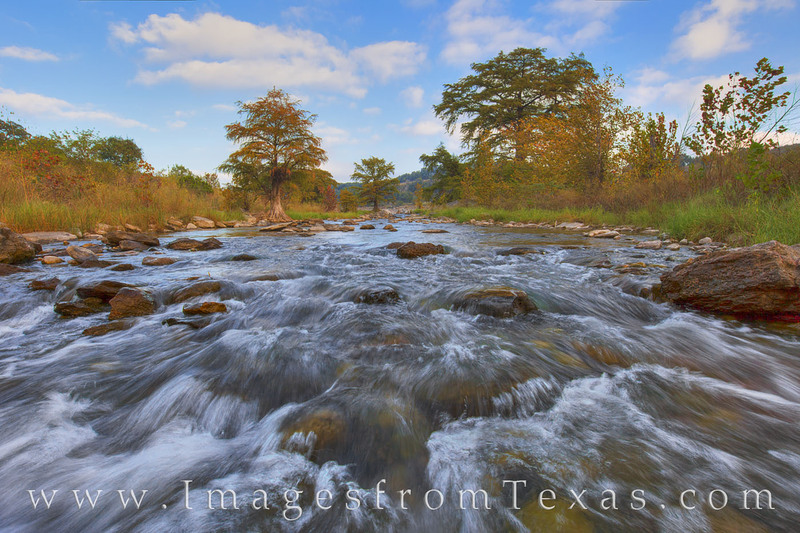 Low, thick clouds gave way to blue skies on this October morning along the Pedernales River in the Texas Hill Country. The cypress that line this river were already showing some hints of fall color, and the river was low and clear, making it possible to shoot from the middle of the rapids. Photo © copyright by Rob Greebon.